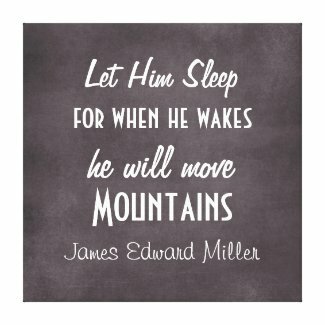 Beautiful inspirational canvas print with baby quote, 'Let him sleep for when he wakes, he will move mountains.' Chalkboard inspired background design. Can be customized. We also have many other designs, as well as the baby girl version of the quote.